In previous instalments, our probe into The Sun exposed how senior journalists allegedly used a private investigator to target a cancer patient’s medical records. But today we shine a light on the toxic corporate culture at the under-fire tabloid, strained by falling profits and circulation. The Sun editor Tony Gallagher is likely to follow star columnist Kelvin MacKenzie out of the tabloid, Byline can reveal. Gallagher, 53, has lost the confidence of News UK's Chief Executive Rebekah Brooks - and right hand to owner Rupert Murdoch. She is likely to replace him following the election. Brooks blames Gallagher for the furore over MacKenzie’s column on the Everton footballer Ross Barkley, which caused outrage in Liverpool. In his column, MacKenzie said looking at Ross Barkley's eyes had given him a "similar feeling when seeing a gorilla at the zoo". His eyes made him "certain not only are the lights not on, there is definitely nobody at home", he wrote. Alongside the article was an image of a gorilla next to a picture of the midfielder, whose grandfather is Nigerian. According to a source close to News UK, Gallagher was on the 'back-bench' – the key editorial desk in a tabloid news room – on the day the column was being prepared on April 13, yet failed to pull the offending piece. Gallagher claimed that he had not read the column before the paper went to press. But Brooks feels that as Editor, it was Gallagher's duty to read the column - especially as it ran a week before the anniversary of the Hillsborough disaster, with Mackenzie a highly divisive figure having defamed Liverpool fans with blame for the tragedy in which 96 lives were lost. The Chief Executive, already concerned about dwindling advertising revenue at the title, which remains the UK's best-selling tabloid newspaper, relieved 'toxic' Mackenzie of his position more than two weeks before today's official announcement. Our source told Byline: "He (MacKenzie) got fired on Friday April 21 by Rebekah Brooks, who called him into her office. She had already realised he was toxic and that his time was up. "Any chance of winning over advertisers was impossible with MacKenzie writing a column in the Sun twice a week. "She was going to get rid of him (Mackenzie) any way. But Gallagher was a huge supporter and she had that big hurdle. It’s very difficult to sack a columnist the Editor likes. "Clearly, Mackenzie had given her all the rope she needed to hang him with the Barkley column. She desperately wanted Gallagher to be on the same page, so she hauled Gallagher into the meeting." Furore erupted after the paper published a hugely insulting column written by MacKenzie one week earlier on Friday April 14, when MacKenzie unintentionally made a racist slur about mixed-race Barkley. But he compounded the negative impact with a further anti-Liverpool slur, targeted at a city where the former Sun editor is still a tinderbox issue. 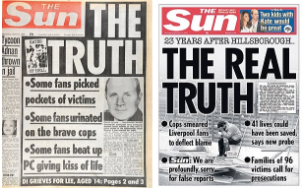 Byline understands warfare broke out at The Sun’s plush London Bridge HQ following the untimely blunder in the run-up to the anniversary of the Hillsborough tragedy. Our source is embroiled in the bloody office politics that threaten to undermine the stability of the paper. Rupert Murdoch is currently on his best behaviour whilst under scrutiny from Ofcom over his Sky TV bid. On one side of the power struggle is controversial News UK Chief Executive Rebekah Brooks. On the opposing side is Kelvin Mackenzie, 70, whose Hillsborough legacy still casts a shadow over right-wing red-top. Gallagher had previously supported MacKenzie. MacKenzie did not know Barkley had a Nigerian grandfather despite the fact being on Wikipedia. Stories about Barkley’s black family also come up in newspaper cuttings – a second-nature reference tool for a senior journalist like MacKenzie. Mackenzie added insult to injury by widening his comments to include the people of Liverpool. He is still hated in the football-mad city 28 years after falsely accusing Liverpool fans of robbing their own amongst the 96 dead of the Leppings Lane crush. Brooks wants a hand-picked editor to run The Sun’s seven-day operation. Our source claims that Gallagher lost favour with Brooks last year because he lacks the traditional qualities of a Sun editor. The source told Byline: "What is much more interesting (than Mackenzie) is Gallagher – and how desperate Brooks is to fire Gallagher." Brooks is no stranger to black operations. A close friend was used to plant damaging stories against another former Sun journalist, before the writer was sacked. Another former executive believes that Brooks planted a spy in his office to monitor him. Brooks is facing fresh allegations in the High Court as a result of civil phone cases. If the civil trial goes ahead, as scheduled in October, Brooks will be called to give evidence. The phone allegations may prove to be very damaging for The Sun, whose circulation and influence has waned dramatically in recent years. 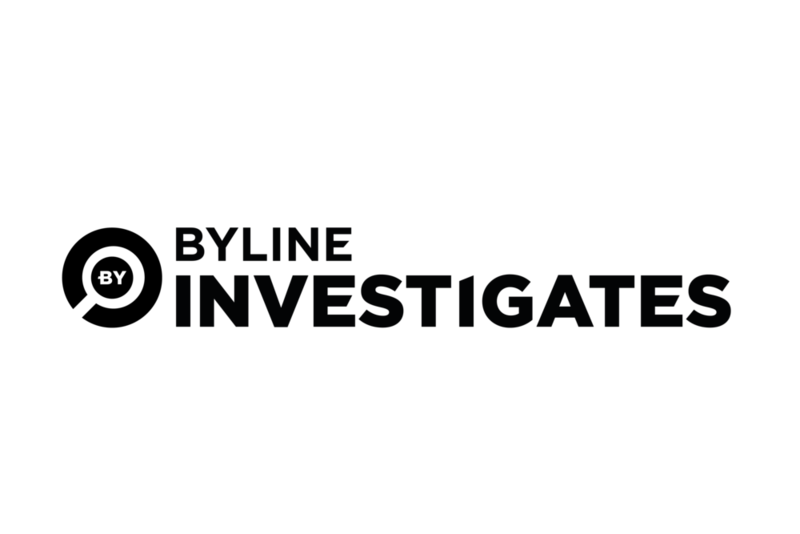 In our series investigating The Sun, Byline has revealed how the confidential medical records of a cancer victim were targeted by private investigators employed by senior journalists during Brooks’ editorship.